Consulting lead generation isn’t easy, especially when done online. Only a few years ago, your prospects didn’t care about your website. Now, B2B decision makers are actively looking for consultants online, and your digital presence can be a huge part of how you generate new conversations with buyers. All businesses, regardless of industry, have become what I call O2O businesses—their primary marketing objectives are focused on driving people online to drive them offline. 8 of 10 of these methods (in bold) are directly related to your digital presence and are a great place to get started for generating leads for your consulting business online. This list does a good job of giving you a list of marketing tactics and strategies. That said, methods like “Website” and “Blogging” are rather vague terms. Can you simply set up a consulting website and start blogging and see an influx of leads for your consulting business? This article will give you the specific tactics and methods nested under these 8 categories — including a night category of “LinkedIn” for specific LinkedIn lead-generating methods, and a tenth category of “Other,” which doesn’t quite fit with the other categories, but consists both of proven (and experimental) consulting lead generation methods for generating leads and growing the visibility of your business. In this post are all of the methods you’ll ever need to generate leads online for your consulting business. 80% of these won’t work for you. You’ll gain traction with 15%. And the final 5% will become a major source of your business. Your goal is to work through this list and identify the 20% that you think will work, test them, and chip away at the 20% until it becomes that final 5% that you can rely on to continually generate leads for your consulting business. And when those 2 or 3 techniques no longer become effective, you begin the entire cycle again. Rinse and repeat. IMPORTANT: Your website is central to all of these consulting lead generation methods. Without a well-designed consulting website these methods won’t work. 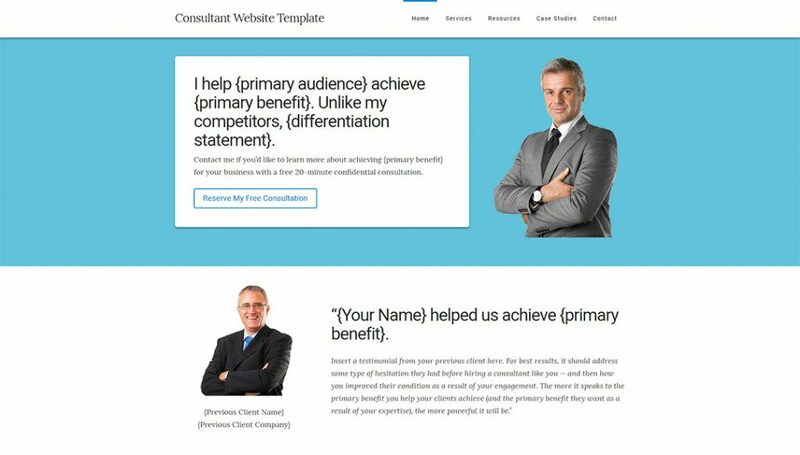 You can download my free high-converting Consultant Homepage Template that comes with my free email course on how to build a system for getting more consulting clients online. Publishing your firm’s ideas into professional trade associations and their publications is one of the “holy grails” of marketing. You’re sharing your thought-leadership (content marketing) with your exact audience (senior people and decision makers) in a publication that already has the social proof and brand to establish trust. That said, writing for a trade publication is not easy. You’ll have to find the right publication, write a high-quality article, and have it accepted before you’ll see your work published here. But having a single article in a trade publication can be a game-changer for your consulting business. And once you’re published, you’ll be able to build off of the reputation of having been featured in a relevant trade publication. Writing for big publications like Entrepreneur, Inc, Business Insider can be huge for credibility. Simply showing these logos on your website will immediately establish trust and credibility with your prospects because they will recognize the big names. And having a guest post on one of these websites that get hundreds of thousands of visitors per month will go a long way for boosting the authority of your website as well as send traffic your way. That said, writing for mainstream press (like writing for a trade publication) is hard to do, and you probably won’t win your pitch by simply asking. A publication like Entrepreneur requires a strict format and requirements. You’ll have to write a high-quality article and adhere to their requirements — all without being too self-promotional in your piece. If you have a superb article in the pipeline, try pitching it as an article for mainstream press website instead of your own website. These sites will often post their requirements and how to get in touch if you have an article you’d like to pitch. I Spent $400,000 on Facebook Fans. Here’s Why You Should NOT Follow My Lead. One of the most difficult things about acquiring leads online is gaining traffic. If you don’t have any traffic, you can’t get any leads, no matter how well your website is designed. The best way to get started gaining that traffic (without spending money on advertising) is to write guest posts for a website that serves a similar audience. Owners of other websites and blogs are under constant pressure to produce high-quality content. If you reach out to them with a pitch that’s focused on their blog and their audience, many of them would be happy to accept a guest post. At the end of your post, the website owner will often require a short bio which gives readers a way to learn more about you — and they can do so via a link to your website. Guest posting isn’t just about the articles — it will help you build more relationships. Consulting is a relationship business, and the more strong relationships you can build, the better off your business is. Sponsoring a local or online event can be a great networking and marketing opportunity for your business. You can also look for sponsorship opportunities in the digital space: on a partners’ website or email list. You may want to offer your partner advertising, branding and marketing opportunities on your website. If you sell ad space on your website or newsletter, for instance, include free ads as part of your partnership plan. Consider adding a Partners page or section to your website, as well. Ask your partner to provide relevant copy and graphics. This page can also tell your audience about any special pricing or packages they can get as a benefit of your partnership. Sponsorships are about creating a sense of familiarity with your business without being too intrusive. This can help you generate more leads by helping increase your visibility in areas you may have not yet considered. The opportunities are out there — but you have to be proactive to take advantage of them. What are some local events that make sense for you to sponsor? Are there any online events in your industry that could work? Reach out to these organizers and ask them if they are accepting sponsorships. Look to get your name, your logo, and your website out there as a sponsor where you can build your audience and generate leads. List posting is when you create a post that lists something that your audience wants to know. It could be a “Best of” post for “podcasts,” where you list the best podcast in your industry. In addition to your list, you want to reach out to whomever you’re featuring in the post for a snippet to add to their feature. If you’re doing a “Best of” list post for podcasts in your industry, you’d ask the host of each podcast something like why they started the podcast, who it’s for, and what they hope to achieve with it. List posts are popular, easy to read, and easy to create. They also help you develop new relationships through outreach. Once you’ve completed your post, ask each of the people you feature in your article to share it with their list. McKinsey’s most popular article in 2017 was a list post. And it had less than 1000 words. Try a list post for your next piece of content — create a helpful list for your prospects by reaching out to experts and getting them to share what they know, and curate all of that into a single post. The main goal of your website articles should be to educate your readers and prospect so that they can achieve the desired result in their business from applying your advice. With a content upgrade, you are helping them achieve that same result, but faster. Using Google Analytics or your comments, find out what our highest traffic blog posts are. Since these are bringing you the most traffic, they are your best assets for acquiring more leads. Write the main takeaway from your article. When you’ve got a clear idea of why this piece of content was so popular, create a resource that helps your prospect achieve that result faster. 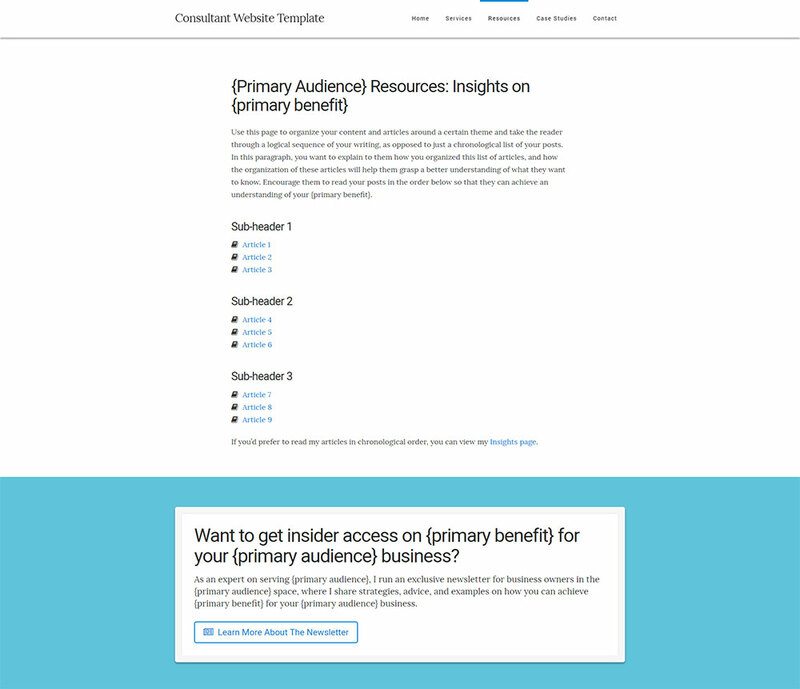 Insert the lead magnet inline with your content, so that readers have the opportunity to opt-in to your newsletter to gain access to this resource. The resource should be directly related to what they are reading about when to come to your article. Content upgrades can boost your conversion rate by up to 4x. Creating a content upgrade for just the top 20% of your articles will dramatically improve the number of leads you get every month. A white paper is a report given on a topic in your industry. It’s meant to be an authoritative piece that informs your reader about a complex topic, giving your firm’s take on the topic and to help the reader make a better decision. White Papers are a great lead magnet because they position you as a trusted advisor to your prospect. They have come to you to learn more about a topic relevant to their business, and your white paper provides them with answers. As a consultant, there is no better position to be in for sales conversations than that of the trusted advisor — a position that publishing your white paper helps you take. Like any other lead magnet, you’re going to use your white paper either as a general opt-in or a content upgrade. You can write a series of articles related to your white paper, and then position your white paper within your article so that it generates more leads. Knowing that your lead is interested in the topic of the white paper is critical information when coming up with your inbound sales outreach strategy. A video course goes above and beyond what your prospects expect to receive as a free lead magnet — and it can propel you far past your competition as far as your marketing. It does not need to be a full-length, 20+ hour video course (you’d charge for that! ), but a simple 3 to 5 lesson video course where your prospect gets the chance to see you and hear you as if they were attending a presentation of yours. This a powerful educational, trust-building marketing technique. With this video course, you want to simply bring awareness to the potential problems that your client is facing in their business, and how they might go about solving this problem. At the end of it, you want to introduce them to some options for working with you if they would like to hire an expert to solve the problem and implement the solution you’ve discussed in your video series. With the help of Loom, Google Slides, and a simple Webcam and microphone, anyone can create a quick video course for their prospective clients and packaged them up as a lead magnet on your website. An assessment makes a great lead magnet because it’s easy to take, gives your prospect instant results, and qualifies them for your services. Let’s say your prospect doesn’t know what they could gain from your expertise. You create an assessment that asks them a series of questions to help them uncover whether or not they could potentially gain from your expertise. And the lead-magnet opt-in copy for this assessment is simple. An email mini-course makes a fantastic lead magnets for consultants, especially when “dripped” to your leads over the series of days. The best thing about sending your leads a mini-course through your email marketing software is that you can encourage them to respond and start a dialogue. Not only will you be educating and nurturing your leads, but it will help you start conversations and develop relationships with your leads. The first few lessons of your email course should be purely educational. You want to teach them your process for solving the problem they face in their business. Before you introduce your services as the logical next step to your educational material, you want to bridge the gap with some actionable items (like worksheets) to help your prospects write down how making these changes would help their business. Finally, the last few emails should be educational — but at a higher level. And you’re going to want to introduce your prospect to your services if they’d like you to implement/consult on what they’ve learned in your lesson for their business. This is where you open your prospect up to a free consultation so you can take the relationship to the next level. 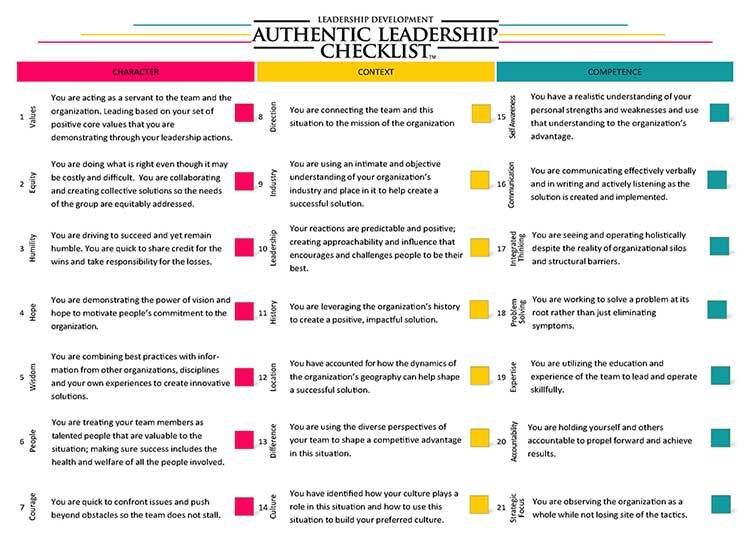 Similar to an assessment, a checklist can help your prospect become aware of a problem in their business — and the potential gains if that problem is solved. The biggest advantage of creating a checklist is that they are incredibly easy to create, market, and help qualify your prospect. You can create this lead magnet in a couple of hours with Google Docs. To use a checklist as a lead magnet, create a list of 12-15 items that, when checked (or aren’t checked if they are missing certain things/qualities), make your prospect a good candidate for your consulting services. At the end of your checklist, explain that if they’ve checked off a certain amount (50-75%+), that they have lots to gain from your consulting services — and explain to them how and why. When a prospect comes to you after completing your checklist, you’ll be able to talk to them about each of the items on your checklist. You’ll know about your prospect’s situation given what items they checked off, and you’ll be able to ask them relevant questions that show them you’re the expert. Publishing your own book is an incredible form of social proof — there’s no wonder that Alan Weiss considers them the “golden standard” for consultants. Taking a chapter out of your book and offering it as a piece of downloadable, educational content is a great form of lead-generation and content-repurposing. You’ve taken the time to write your book — why not squeeze everything you can out of it? If your prospect reads your free chapter and learns something from it, they’ll buy your book. If they buy your book, read it, enjoys it, and needs your expertise for their business, they’ll want to learn how they can work with you. Writing your own book and offering a sample chapter on your website covers the first half of this sales pipeline. Imagine if all of your potential clients have read, understand, and enjoyed your book. You’ll never have an easier sell. If so, a simple, short eBook is the perfect option. 20-30 pages is about 5000-7500 words (half the length of this blog post), which you could write (or even speak) in less than a month. And when you’re done, you can say you’ve authored an eBook. It’s no book, but it’s fairly close. What makes the right type of content for an eBook? A simple how-to guide is sufficient. Use your short eBook to teach your prospect one specific lesson or principle related to their business. Guide them through a particular problem or solution for their business, and explain your process for solving it. Another strategy is to bundle up your blog posts, organize them, and create your eBook from the bundle. This is an efficient way to re-purpose your content and create more value out of what you’ve already produced. Seven Ways to Write (or Blog) a SHORT eBook FAST! Positioning yourself as a trusted advisor is key to building a high-growth consulting business. If you can establish yourself as a resource for your industry, you’ll have more leads coming to you than you can handle. By starting your own podcast, and interviewing other thought-leaders in your industry for your episodes, you’ll become a fantastic resource for your industry. You’ll also be able to use it as a networking tool — everyone loves to feature their insights and expertise publically. Starting your own podcast doesn’t need to be complicated. It can be as simple as a phone interview via Skype, which you record and upload to iTunes. With every episode, you’ll create a win for your guest, your audience, and yourself. Getting your audience and your guest to share episodes can lead to rapid growth and qualified leads who see you as not only a consultant but someone that they listen to on a frequent basis for advice. David Fields lists “Speaking” as one of the 5 Marketing Musts for consultants — and for good reason. It puts you in front of your prospects, and they get to see you and hear you demonstrate your expertise. Speaking on a podcast is the digital equivalent of speaking in person. What it lacks in the face-to-face dynamic of speaking in person, it makes up for in the ability to scale — and the fact that it goes up on the internet forever, and you can share it with thousands of people at once. With over 250 thousand podcasts on iTunes alone, you shouldn’t have a problem finding at least a few podcasts where you can share your expertise. You don’t need anything more than your phone and a pair of headphones to speak on a podcast. To pitch a podcast guest on having you on their show, send them an email or give them a call and tell them you’re a fan of the show. Explain to them how your expertise would be valuable to their audience. At the end of the podcast, the host will usually ask you where listeners can find out more about you — the perfect way to lead them to your website. Hiring a videographer to record your speaking engagements is one of the most powerful things you can do for marketing your consulting business. Not only are you speaking to one room — you’re giving yourself the opportunity to speak to the entire world by posting your presentation on your website, YouTube, LinkedIn, and wherever else your prospects are hanging out. This makes for great content — and it also makes for massive social proof for your website. If your prospect comes to your website and sees that you have a page full of your speaking engagements, not only can they watch and learn, but they’re seeing you in action. This provides a massive boost to your credibility. The videos of my speaking engagements made a huge difference. People could eyeball me instantly and make the decision as to whether or not I was a match for their audience. The number of engagements I received climbed quickly. I was soon speaking 30 or so times per year. The next time you speak, make sure you have someone recording so you can post it on your website and use it to market your business. A web or internet conference is like a conference that’s done online. You speak to an audience (who often pay for a virtual pass) from your home office or home, using your webcam and microphone. What’s great about speaking at a web conference is that you don’t have to travel — and neither does your audience. You can speak to a global audience of your potential clients and industry peers from your computer. You need to get on their radar, show them that you can provide great and excellent value to their audience, and then make the ask to speak at the conference. Once you’ve done some podcasting, online presentations, and webinars, speaking at a live web conference is a great next step. Webinars are the “second half” of the digital equivalent of speaking for consultants. No other form of digital marketing done online will help your prospects get to know you, see you, and trust you like webinars do. It’s like giving them a private presentation right through their computer screen. When you’re coming up with a topic for your webinar, keep your thought process similar to when you’re writing articles for your blog. What do your prospects want to learn about? What problems are they struggling with in their business? What could you give a presentation on simply using slides and your voice that would help educate them and help them solve their problem? You can use software like GoToWebinar to host your webinars live — or you can simply record a webinar and use it as a lead magnet on your website. Either way, webinars are one of the most inexpensive, cheapest ways to get in front of prospects at scale, share your expertise, and build trust. A Live Q and A is where you (and perhaps a partner) host a live webinar where you give the audience the chance to ask you questions for you to answer live, on air. This open style of discussion is the perfect way for you to give “freestyle” advice — advice given without the chance to prepare. It’s a good test of your expertise, and when you do it right, you’ll come across as extremely competent to listeners and potential leads. Your Live Q and A’s are often done with subscribers on your list, or that of your partners. These are people that already know you, like you, and trust you. A good live Q and A session where you get the chance to talk to your prospects live on-air and help them out will help them know you, like you, and trust you even more. You can also follow up a live webinar with a Q and A session to follow up your presentation, giving attendees a chance to ask you questions about your presentation. This is a good time to build a stronger relationship with your audience and reinforce your main teaching points. When you interview an expert, you learn a lot from them. 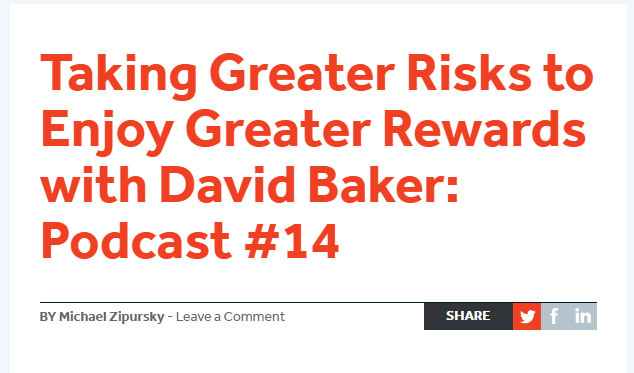 When you interview an expert and produce a piece of content from this interview, you’re not only learning, but you’re creating content that helps your audience learn as well. Interviewing an expert for your webinar or online educational event is one of the easiest ways to create great, useful content. In order to do it well, you need to A, find the right experts, and B, ask them the questions that your audience wants to know. Come up with a list of questions that show you know what you’re talking about, and when answered by an expert, would be helpful to your listeners. Then, create a list of experts that you’d like to interview. Be as ambitious as possible with your list. You’d be surprised at who’s willing to come on and share their expertise with you and your audience. Finally, do an outreach campaign to this list, telling them that you’d like to interview them for a webinar. Give them an idea of who your audience is, what some of the questions will be, and the time required (30-45 minutes works fine). Most importantly, explain how it will be beneficial for them. Feeling ambitious about your lead-generation efforts? Then think about hosting your own web conference. This method combines all of the above for the “Webinar and Online Educational Event” techniques. You’ll probably want to hire freelancers or a team to help you run it. But if you can pull it off, you can skyrocket your authority in your industry, attracting an audience and building relationships with key people all at once. Come up with a primary theme for your web conference — one that all of the experts you invite to speak will speak on. Build a list of speakers that you’d like to speak at your conference. 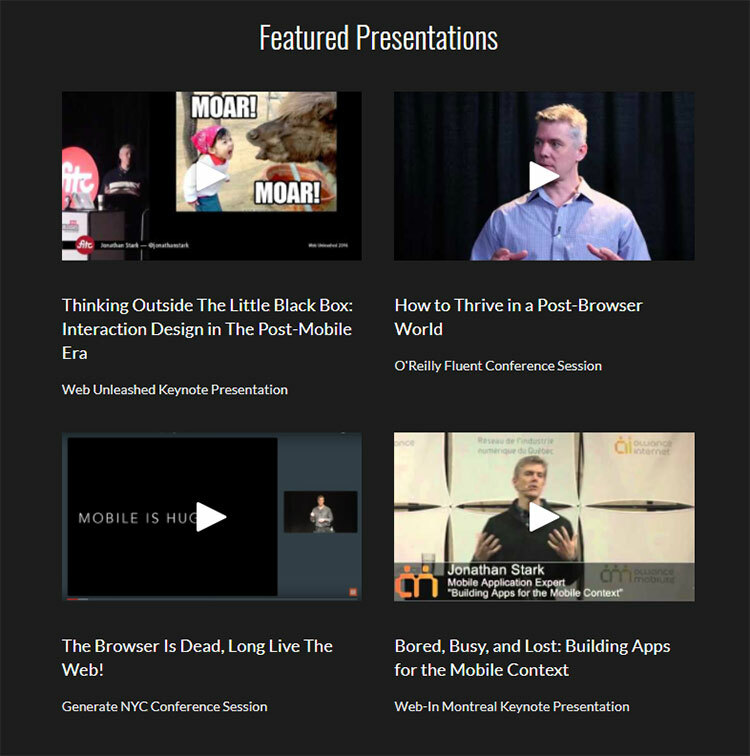 Write an outreach template for pitching your conference to speakers. Pick a date that you’d like to host your web conference and the technology you’d like to use. It will be a lot of work and is not something you’ll want to do often. But if you do it right, you’ll generate new business and relationships at a fantastic rate. Most, if not all, of your consultations with your potential clients, will be done privately over the phone. Depending on your level of expertise or your strategy, these consultations will be either paid or free. What if you turned your free consultations into podcast interviews that you share via your website? Not only are you consulting with your client, but you’re consulting with your audience at large. They will identify with your potential client, having the same questions that they will. And any questions that the interviewee has that listeners would also ask, it will feel like your answering their exact questions — helping you consult with your audience at scale. This is a very creative strategy that can be an amazing way to speak to a potential buyer and create very original, engaging content all at once. The fact that you’re willing to publish your consultation is a very bold, confident technique. The next time you’re offering a free consultation, ask them if they’re OK with you recording and publishing it. Tell them you’ll edit out any private details, and you can keep it very high-level to avoid going too deep into the nitty-gritty of their business. 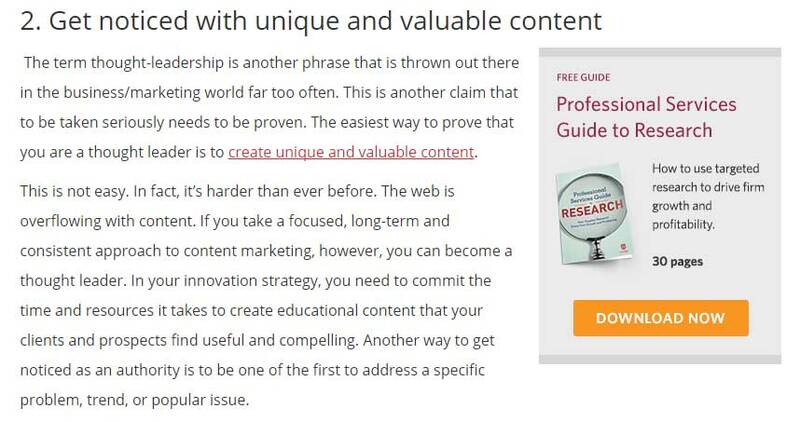 If you’re going to be offering free advice, then turn it into great content. As a consultant, your product is your advice. The more you can get your advice in front of your prospects, the more leads you will find. 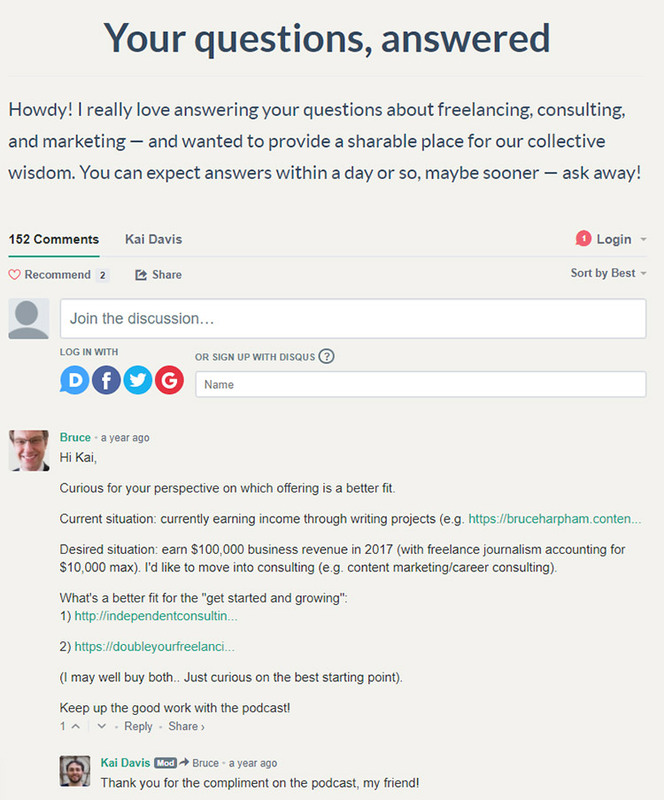 Kai Davis, outreach consultant, has created an Ask Me Anything page where he gives the opportunity for you to ask a question through his Disqus comment thread. This is a great way to publicly demonstrate your expertise, learn what your prospect’s “burning questions” are, and acquire leads at the same time. Creating an “Ask Me Anything” page is an excellent way to foster interaction with your prospects, the crux of everything I teach on this website. Give it a shot — create a very simple page on your website with nothing more than a little bit of text to manage expectations (what to ask, when they can expect an answer) and your comment thread. Use the thread as a way to start discussions, answer your prospects questions, and position yourself as a thought-leader among your audience. There are two types of websites for consultants: websites that are a digital brochure or resume used to simply convey information about the consultant or firm, and websites that are marketing/sales tools used to generate leads. Most of the consulting websites you see online are the former, not the latter. You create intellectual property, which generates credibility, which creates prospect interaction, which gains trust, which produces new business, from which you can generate new intellectual property. This sequence is accelerated by a credible website that is visitor-friendly and buyer-oriented. A lead-generating website is designed to showcase your thinking (your intellectual property) in your unique voice and brand (your design) in order to attract the right type of prospects. This type of website helps draw prospects into your sales pipeline — and helps them move down the pipeline until they are ready for the sale. Search Engine Optimization consists of the techniques and best practices for improving your website and your content in order to boost it’s ranking on search engines. “Turns out he’s a lot like John Harder — no need for consultants but always looking for good advice. He said he did a quick Internet search for ‘ag equipment product design’ and we were in the top few results. And then when he drilled down into the content on our site and saw your article on the seed testing equipment and Sheldon’s moisture/nutrient case study, he said it was obvious that our expertise would be quite valuable to the project,” said Lou. When you are publishing content consistently and writing in a way that is beneficial to your prospects, Google will reward you. Your content, case studies, and resources on your website will rise in search rankings, making it easier for your prospects to find your website. SEO is about creating beneficial content, consistently. Inbound leads convert up to 10x better than outbound leads, so the rewards for ranking high are enormous and can pay huge dividends for your consulting business. Facilitating client success through case studies is a powerful way to attract new leads. An effective consulting case study shows your prospects what life would be like after you’ve implemented your expertise for their business — and is why this page deserves to be one of your main menu tabs. Your case studies demonstrate how you take them to their desired future state. You want to organize your case studies into 3 different parts. The Brief: This is where you outline the problem that your client approached you with. What was wrong with their business? What were they struggling with? What kept them up at night? 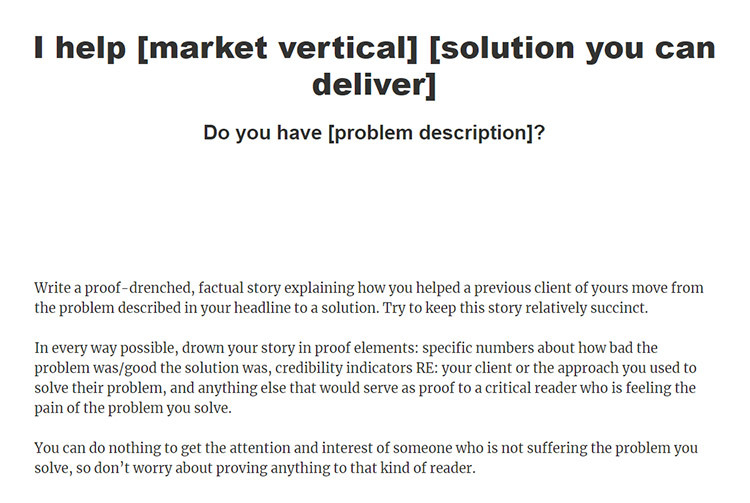 Your Method: This is where you discuss how you solved your client’s problem. What did you do during the project? How did you apply your expertise to your client’s situation? Why did you decide on each particular action? The Outcome: This is where you discuss how you improved your client’s condition. How did their business improve as a result of the engagement? What were the KPI’s or metrics achieved to show that the project was a success? How is your client’s business improved as a result of your expertise? Using this outline, you can create an engaging, buyer-oriented case study that makes your potential clients more interested in working with you. Writing articles for your website is critical — but that’s only the first step. Instead of dumping all of your articles on a prospect at once, take the time to organize them. Use them to tell a story. Take prospects through a logical sequence of your work. Organize your articles into a “Resources” page, and use it in your top-level navigation in addition to your “Insights” or “Articles” Page. A well-organized research page that creates a specific outcome for your prospect goes a long way of building trust. It will help you position yourself as a thought-leader and trusted adviser. Be the consultant in your industry with the “Resources” page that everyone refers too. Not every prospect will be thrilled to dig through a bunch of your posts to find what’s relevant to them — but if you tell them that reading these 3 posts in this particular order will give them an understanding of what’s causing them pain in their business, you’ll have an interested prospect. And an interested prospect makes a qualified lead. Productized consulting is when you take your expertise and package it into a product that your prospects can purchase for a fixed price. When you sell productized consulting, you’re selling fixed scope, fixed price offers, and not custom engagements. Although this means you won’t be selling massive projects, you will have an easier time selling your services, and spend less time doing so. They can be extremely profitable when offering them effectively. I stopped writing proposals. That was the primary benefit. The secondary benefits included the ability to double down on doing one (or a few) thi0ng repeatedly, getting more efficient at it and effectively increasing my hourly rate. Can you imagine what it would be like to run a consulting business where you didn’t have to write proposals? If you’ve always thought of yourself as a service provider and not a product creator, you’re among many consultants. But thinking about adding a productized consulting offer can help you add a product to your value ladder. And your productized consulting offers also function as attractive lead magnets as well. Following up with the people you meet is where the magic happens — and your “Hello” page makes following up easier. It gives the recipients of your business card a “call-to-action” via a link to your website, where you can remind them who you are, and where your expertise lies. Then, it gives them the opportunity to opt-in to your list. If you frequently hand out business cards, put a link to your hello page on your business card. Or include your hello page in your LinkedIn profile and signature. Use it as a way to help people who you’ve met remember who you are, what you do, and how you can help them — and then include an opt-in to your email list. Creating a full website can be time-consuming and complicated. If you don’t know what you’re doing, you’ll end up creating pages and writing copy that distracts your prospect from taking any action on your website. In cases where you don’t have the time or budget for a full-on website, and you have a very hyper-focused offer (or a hyper-focused scope of consultation), then a very simple, single-offer landing page is a great place to start. Not only are these much simpler to create a than a full-on consulting website, but they give your prospect a very clear path: enter your name and email address for your offer. This is essentially turning your contact page into your entire consulting website (at least for the start). As you drive traffic to this page and book consultations with your offer, you start to learn more about your prospects, their problems, and then you can start writing content to add to the website. 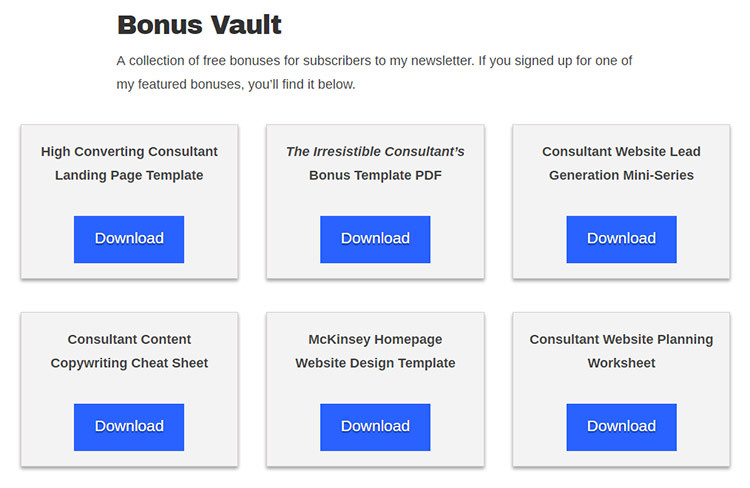 A “Bonus Vault” is a page that collects all of your periodic content on a single page that you give to your subscribers. 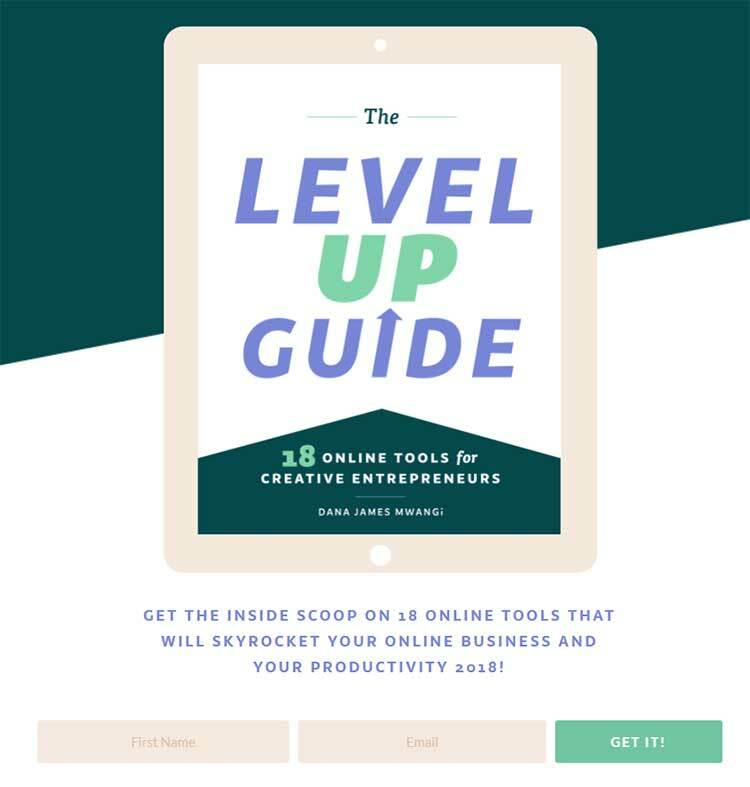 It helps you organize all of your periodic, one-off content, and also helps you package and provide your most qualified leads with a special list of resources for exclusive to them. If you tally up the monetary value of each bonus, you’re likely to have over $1000 of value on this page — and you want to use that to entice prospects to sign up for your list. Your bonus vault is a “lead magnet” in itself. You can even add an element of scarcity to the page by making it password protected, and giving the password to your subscribers in your welcome email. This increases the perceived value of your page and increases the feeling of community among your audience. Put your “Bonus Vault” — and the lead magnets within it — on your Resources page. Your “Bonus Vault” is essentialy a Resources page restricted to your subscribers. Everyone loves a good secret — especially new members of your audience. Offering free consultations on your website or through LinkedIn is a quick way to optimize your digital presence for more conversations. It doesn’t require any complicated software, automation, or complex copy — and it helps you build more personalized relationships through the phone. When you’re offering your free consultation, err on the side of prescriber as opposed to problem solver. Giving away some free advice can work to your advantage, but don’t aim to solve your leads problem through a one-hour phone call. Keep it quick, light, and make it focused on your leads options for using you. In order for people to actually book a consultation with you, you’re going to have to explain to them how talking to you will benefit them. And make sure to follow-up on all of your free consultations with the next step — the best way to work with you. 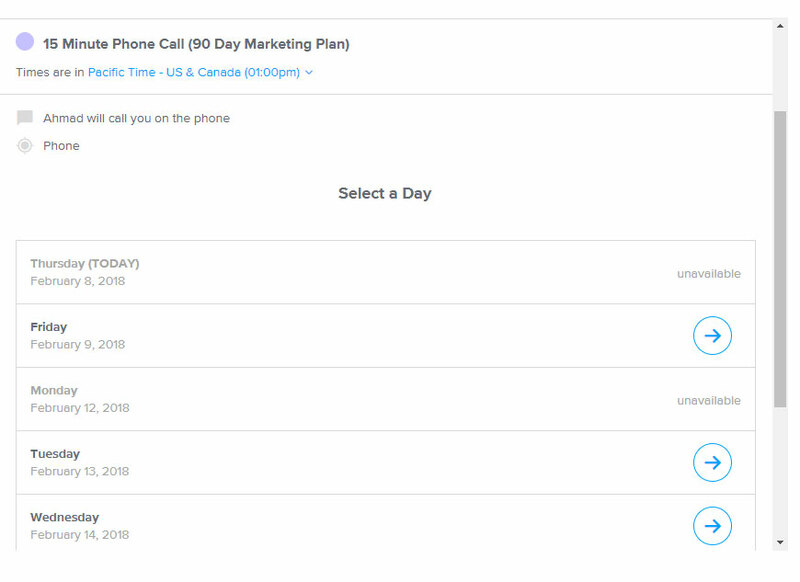 Calendly is a fantastic way to book new calls with your prospects. It’s quick, easy, and removes all of the back-and-forth emails when scheduling the right time for a call. You’ll be able to talk to more prospects using Calendly simply because it makes it so easy for them to book a time that is most convenient for them. The key with Calendly is to restrict the time you’re available. You don’t want your calendar to be open 9-5, Monday to Friday. Only allow prospects to book consultations with you when you’re available to give them your full and undivided attention. This will help you introduce an element of scarcity to your time, helping your prospects percieve your time as more valuable. A calculator where your prospect can type in their numbers and see improvements will drive curiosity as to how you can help them make those improvements. An ROI calculator is a widget on your website or lead-magnet that your prospects can interact with and learn about the improvements they can make — or costs they could cut — if they work with you. The ROI is based on an estimate given the data your prospects enter in the calculator. These don’t have to be too complicated. Chances are, you already use some kind of calculator when figuring out the potential value of a project to your client’s business. An ROI calculator is a simplified version that you use on your website. You can either hire a freelancer to code this for you or look into pre-built options. 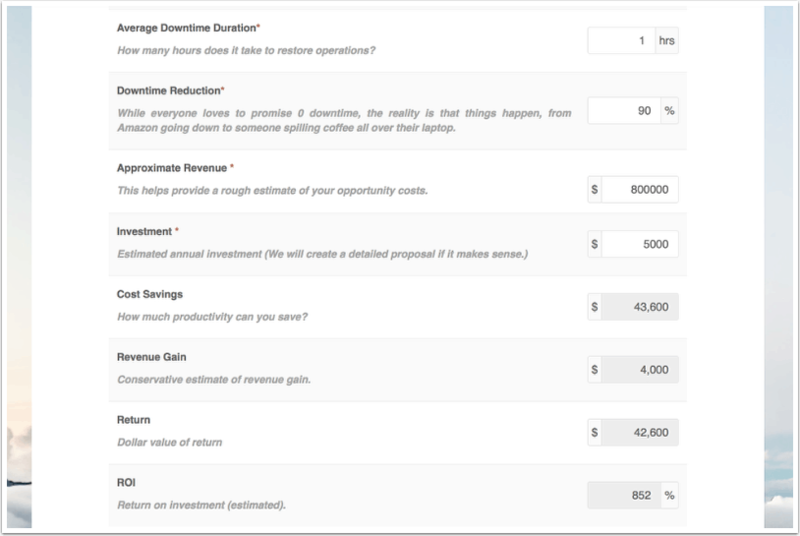 Mimiran, digital marketing and sales software for consultants, offers a custom ROI calculator. To use it to generate leads, set up the calculator so that your prospect must enter their name and email address to receive their results. A “Referrals” page is a page on your website that you can send to contacts or referrals that help them enter your sales-pipeline faster and with less friction. Let’s say you have two leads. One is a referral from your best client, who you know would only refer someone who would be an excellent fit. The other is a completely random lead. Would you send these two the same contact form? I would hope not. A referral page makes the former lead feel special — with the aim of making them more likely to fill out the form than if it was meant for a cold lead. Referrals are special leads and deserve special attention. And thus, any page or form that you send them should capitalize on this relationship. Using a referral page, you are making it easier for your clients to refer you (by giving them a simple link to share with those who would be a potential fit), and you’re making it easier for these referrals to contact you. Using a “Now” page (or adding a “Now” section to your contact page) is a great way to tell prospects what you are working on and what you aren’t working on. It helps them understand whether or not what you’re doing aligns with what they need help with. The “Now” page is effective for generating leads because it lays out clear instructions for your prospect. You explain that you’re working on X type of project, and that if they have a problem Y, that they should contact you. Compare that to a generic contact form, where you don’t give them any instructions. Why should they contact you? What should they say? Should they bother to take the time to write a message to you about their project? A “Now” page or section helps clarify all of those questions. Clear instructions and better directions make it easier for your prospects to contact you with the right information — meaning more qualified leads for your business. With today’s technology, your prospect can visit your website, ask you a question, and you can respond in real time through a chatbox widget. This allows you to follow-up with a lead within seconds or minutes — not hours. 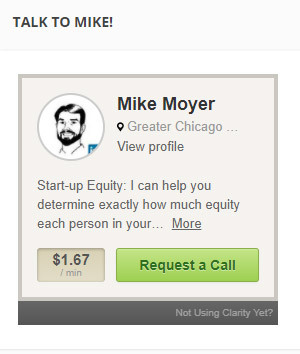 When a prospect lands on your website, they will a small live chat widget (usually in the bottom right corner). When the click on it, they’ll be greeted with a message and the opportunity to enter a message. You’ll be able to chat with this person live, in real-time, all on your website (similar to the way Facebook Messenger works). Even if you aren’t able to respond quickly, you’ll still receive an email notification containing the message. Live chat is another way to use your website to foster interaction with your prospects. It’s a direct example of a widget you can add that shifts your website away from being a brochure website. NOTE: While I’m well versed in all of the other methods listed in this article, I’m not very familiar with online advertising with paid ads. I had assumed it wasn’t effective for consultants, but after reading Hinge’s study, I’m aware that my assumptions were wrong. Facebook allows you to advertise on the platform, with your ads appearing throughout your prospects Facebook feed. Using Facebooks Advertising platform, you’re able to target user’s based on a variety of criteria. You want to send them to a landing page which offers them something in exchange for their name and email address. The simpler your landing page that these ads link to, and the more effective the copy, the more conversions you’ll get. It’s worth actually clicking on some of these ads and noting how their landing pages are constructed. Growing your traffic organically takes a lot of effort and time. If you have more money than time, consider investing in ads. It’s a quick way to get targeted traffic to your website and convert them into leads. More of your prospects are on Facebook than you think — many top High-Growth firms are leveraging advertising and consider it to be one of their most important marketing strategies. Facebook retargeting are ads that show up in your prospects who are already familiar with you — they’ve visited your website and have maybe read some of your content. The purpose of these ads is to build on top of the familiarity you’ve built with them. The idea is that with repeated exposure, your prospect will become more and more familiar with your business and your brand. You can also customize your ads based on the information you have on that user. As they move further down your sales funnel, you’ll be able to reach them with more relevant messages. If you have a lead who’s aware of what you bring to the table and are educated about your process, you have a lead who’s almost ready to buy. Facebook retargeting allows you to target them with messages about your products and services because you know they’re that much closer to making a purchasing decision. These links in Google are PPC ads. Your ad appears based on the search query that your prospect types in, and you pay for everytime you get a “click” to your ad. The goal here is to acheive a positive ROI on your advertising. You want to target the keywords that your prospects type in, entice them to click on your ad, and then have a powerful landing page that engages them and converts them into a lead. It’s a direct way of paying for leads. The better your copy and landing page is, the more leads you’ll receive. 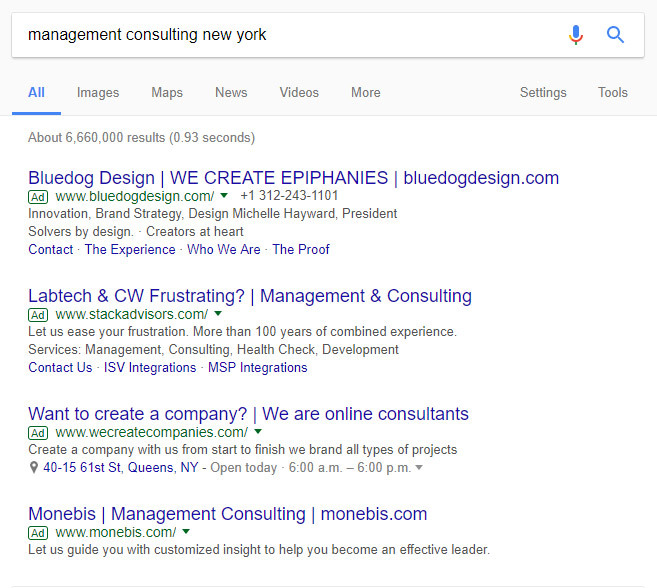 These leads may not be the most qualified or organic — but with a good PPC strategy (and a healthy budget), you can get leads much faster than if you were to engage only in content marketing or SEO. If you’re not getting enough traffic or leads to your website, you can always pay Google to help out. Did you know you could advertise your consulting services on LinkedIn? Because LinkedIn is the platform for business professionals. It has over 500 million members, with a strong focus on business, entrepreneurship, job postings, and now, even hiring freelancers and consultants. LinkedIn allows you to get very granular and specific with your target — and because it’s the platform that your prospects frequent the most, you’ll be able to get in front of them by advertising on LinkedIn. That said, LinkedIn is known for having very high costs-per-click. But if you’re a consultant, and the average value of leads are quite high, then LinkedIn may be the perfect platform to put your ads based on the audience you’re targeting. Email Marketing is marketing to your clients through their email inbox. Once your potential client entered your email list by signing up for your lead magnet, they’re now a qualified lead. With email marketing, you bring them further down your sales funnel so that you can convert them into a client. The best way to think of your email list is not as a list of anonymous names and email addresses — but instead, a list of your leads. And to prepare those leads to buy from you, you must use your email list to nurture those relationships. Instead of using your emails to merely pitch your services, you’re going to want to spend a majority of the time teaching, helping, and sharing. By teaching what you know, sharing your content, and helping your leads, you’re priming them to start viewing you as their trusted advisor. Using your email list and email marketing as a tool for relationship nurturing is one of the most effective ways to get your leads on the phone with you. Since they’re on your list, and you’ve educated them, helped them, and shared with them (consistently), they’ll know you, like you, and trust you. This is also a great way to keep your previous clients up to date on what you’re doing, and how you can provide similar value to their colleagues. As a consultant, your email list is your most powerful marketing tool. It allows you to market your businesses, develop relationships, and sell your services at scale. That said, it’s not as easy as simply acquiring prospects onto your email list, nurturing them, and selling them. Using your email list effectively is all about effective segmentation — sending relevant emails to the people on your list based on the stage of your relationship with them. A useful framework for your email messaging (and automation for more advanced consultants) is the SSF Method created by Scott Oldford. Sidewalk: Prospects who are not yet aware of their problem. With Sidewalk prospects, your goal is to bring awareness to potential problems in their business. Slowlane: Prospects who are aware of their problem, and want to know how their problem is solved. With Slowlane prospects, your goal is to educate them on your process — and how you solve their problem. Fastlane: Prospects who are aware of their problem and understand how it is solved. With Fastlane prospects, you pitch your products and services. That’s it. They’ll either attempt to do it themselves if they have the time — but if they have the money, and if you’ve done a good job, they’ll hire you. Think of all of your leads as a part of one of these three lanes, and write your emails to them based on where they are with you. Your goal is to move as many of your prospects to your Fastlane as you can — because once their in the Fastlane they are ready to be served copy, not content. Once a customer or client has paid money for one of your products or services, it’s much, much easier to sell them a new product or service. They already trust you and the value that you can provide. With that said, one of the most important segments you can make is to those who have either purchased one of your products or services. Segmentation allows you to send emails to this specific portion of your list, allowing you to narrow down your marketing to your previous customers. This is an incredibly powerful marketing technique that helps you write exclusive emails to your biggest, most proven fans. What should you send to this segmented part of your audience? Finding new leads is one thing — but remember, you already have previous clients. Work on helping them and you’ll get new leads and new business. Put other consultants on your mailing list, keep them apprised of what you’re doing, and develop those relationships. If you look at other consultants solely as competitors and “threats,” you will never benefit from them. However, if you see them as colleagues and the sources of opportunities, sooner or later one of them will pass your name along for a project that he cannot handle. This is long-term marketing, and it’s a niche that shouldn’t be ignored. Working to add your competition to your list may seem like a bad idea. Why would you want to share what you know to the people who are going after the same market? If you think that way, you’re operating with a scarcity mindset. By networking with other consultants in your space, and adding them to your email list, you’re demonstrating an incredible amount of value. You’re showing you’re confident enough in your business and your skills that you’re not afraid of helping other consultants in your space out. And by helping out other consultants on your list, they’ll think of you first when they come across new business that they can’t handle. Your email list is an incredible marketing tool — don’t just use it to target new leads. Use it to educate and nurture other consultants and peers in your industry as well so that they can pass along referrals to you. Forcing yourself to always create your own content puts a lot of pressure on you. It also takes up a lot of time — especially when writing to your email list. What if you simply create your own content by curating what you’re currently reading? This is an easy way to create content and position yourself as a thought-leader: by sharing a collection of the top articles and insights you’re reading to your audience. You can use a tool like Curated to bookmark all of the interesting reads you want to share with your audience. Once you’re done for the week, simply hit publish, and the tool will send it out as an email campaign to your list. By showing your leads what you’re reading, you’re creating content and showing them the best industry resources for them to check out. Helping them stay current is the perfect way to stay in touch and open new conversations with your prospective clients and audience. Four out of five B2B decision makers prefer to get information from articles than advertising. As a consultant, writing is your way of demonstrating your expertise. Your website is the perfect tool for publishing your writing because you own it. You can design it however you want, write whatever you want, and you’re not at the risk of anyone else’s business model but your own. And when you write articles that answer the questions that your prospects are typing into Google, then your content marketing will attract leads for you. Contrarian content is content that is unapologetically opinionated. It’s the type of content you produce when you drop your filter and say what you really mean. What makes contrarian content so effective? Firstly — it stands out. The first step of marketing that works is getting your prospects to know you. This means you must get their attention. You cannot get your market to like you and trust you before they know you. Contrarian content is inherently different and attention-grabbing. Second — it’s polarizing. 50% or 80% of readers may disagree with you (and be vocal about it). But the other half will agree with you. This helps them get to like you. By publishing contrarian content, you’re pushing out everyone who wouldn’t make a good client anyways — and drawing in those who want what you’re buying and like your specific approach. Make it your goal with your next piece of content to have people comment that they disagree with you — a marker of contrarian content and that you’re doing it right. Do it often enough, and qualified leads will follow. Did you notice how many people were chiming in on the United Airlines incident back in April of 2017? When something big happens that’s relevant to your industry, you have the perfect opportunity to share your expertise. Talking about current events will draw more eyes simply because it’s a hot topic. Everyone is interested in what people have to say about what’s happening. On LinkedIn, you’ll have hashtags and new topics, making your insights easier to be seen. If you have a certain way you would have dealt with the situation, explain how! Mixed with contrarian content, newsjacking is a great way to share what you know with the people who appreciate it most. The next time something happens in the news that you can provide insight on, do it. Use hashtags, comment on articles, and don’t hold back. Those interested in what you have to say will check out your profile or website to learn more. Using your consulting website effectively to get leads is about fostering interaction. What better way to foster interaction with your prospects and peers than through your articles? 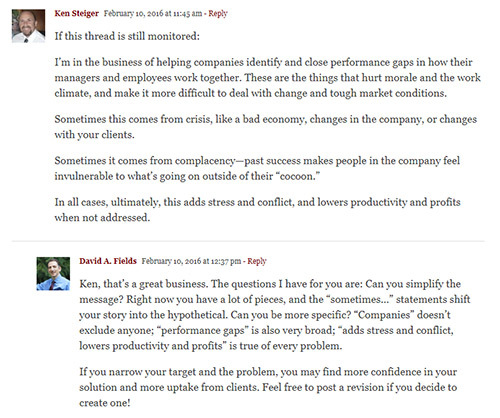 This is a powerful way to show your expertise through your replies to your reader’s comments. It’s also a way to talk directly with your leads — and you’ll know what their reading, and how to start that conversation. You’ll need to create a bit of a following for your readers to start commenting on your articles. It helps to also encourage them to share their thoughts at the end of each post, or on your email list. You can use WordPress default comments or a system like Disqus to create an entire community around your blog. Either way, you want to make it easy for your readers to share their thoughts — and for you to reply. Bringing prospects to your website isn’t easy. That’s why many experts share their thought leadership on Medium. With Medium, your readers are already there. You don’t have to bring them back to your website. They know what to expect with Medium (which is also very well designed, and easy to read). Publish the same way on Medium that you would on your website: articles that help your prospects make significant improvements in their business. 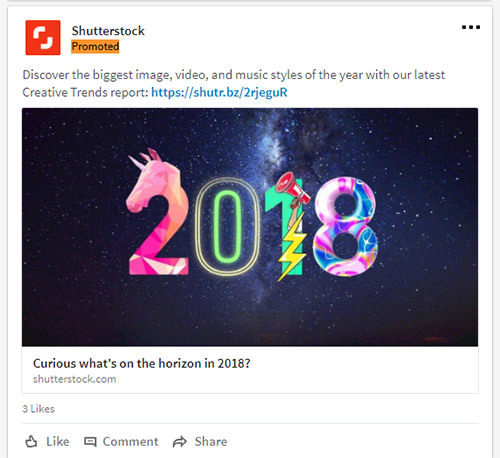 Share a call-to-action at the end of each article so interested readers can take the next step (like a link to the original article on your website). You can and should publish your articles on both your website and Medium. 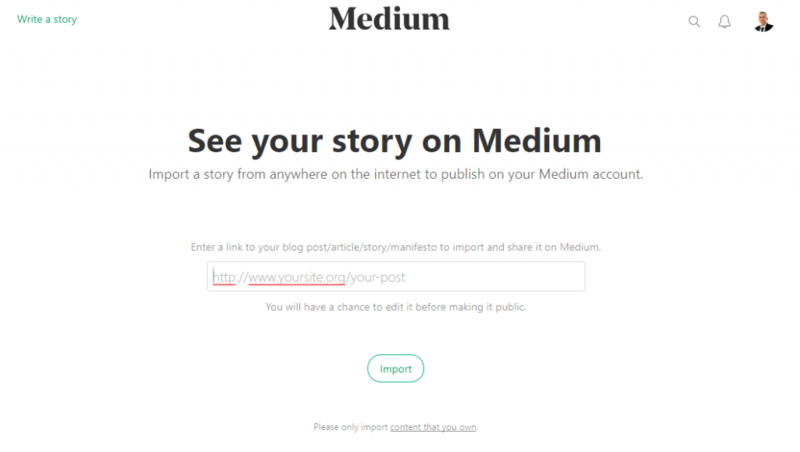 Medium has a handy “Import” function where you can import the post from your website straight to Medium without any duplicate content penalty from Google or other search engines. This allows you to kill two birds with one stone. Part of marketing and getting leads is meeting your prospects where they are. And you can bet that some of your prospects are reading Medium for insights from experts like you. LinkedIn is THE social media site for B2B service providers like consultants, and it’s where you should spend 95% of your time on social media for marketing your consulting business. Listed here are the lead-generating methods for LinkedIn. David Field’s talks about your “fishing line” in his latest book, The Irresistible Consultant’s Guide To Winning Clients. The goal with this line is to “hook” in your prospects into learning more about your business. 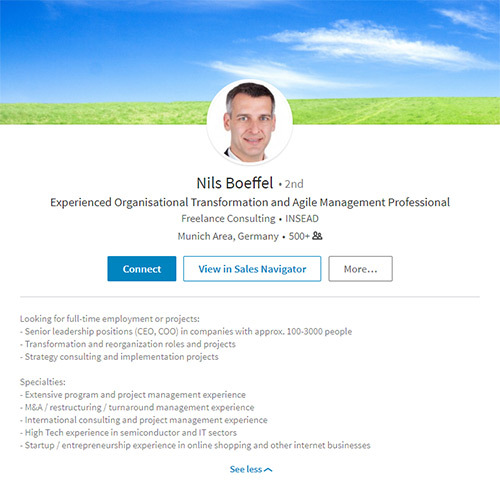 On LinkedIn, your fishing hook is your tagline. It also goes by Unique Value Proposition, or UVP. You’ll find my tagline throughout my website, my email signature, and my LinkedIn tagline. It’s much more enticing than “web consultant”, as it speaks to something that my prospects want — more clients! My tagline spoke to him because he — and one of his primary desires (more clients) — are both addressed in my tagline. I help [target audience] [benefit of your service] so they can [the outcome of your service]. By nailing your fishing like — your tagline — you’ll increase your profile traffic and draw prospects towards connecting with you on LinkedIn. Have you ever wanted to meet someone at a conference? What did you do? Did you just hang around them and watch them the whole day? Or did you just go up and introduce yourself? Hopefully, you did the latter. 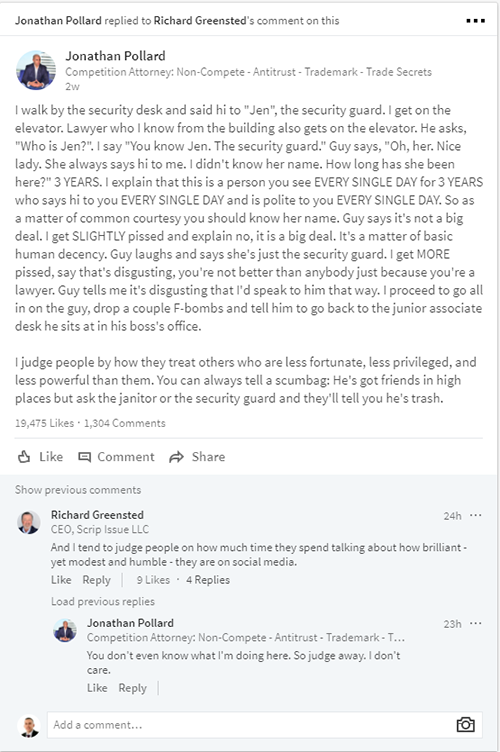 LinkedIn is the same. 80% of people on LinkedIn are more than welcome to accepting invites from people they don’t know — as long as you personalize your invitation to them. One caveat: if you try and instantly pitch your services to them, you won’t get anywhere. Or if you paste in a script, don’t expect them to accept your invitation. Think of LinkedIn as a relationship development tool rather than a sales tool. Use it to start relationships with anyone from industry partners, trade association presidents, and potential clients. Pick one someone you want to send an invitation too. Do some research about who they are and what they do. Once you know a little bit about them and their business, send them an invitation on LinkedIn asking them a question about their business. Positive comments, a little appreciation, and being proactive will go a long way both on LinkedIn. Use it as a tool to meet new people online. There’s nothing worse for generating new inquiries than by talking about yourself — and that’s especially for your LinkedIn profile. Talking about yourself, your experience, your position, and your business does not excite your prospects. Nor does talking in third-person make you look professional or distinguished. Talking about them, their business, and most importantly, their desires and problems are what gets their attention and compel them to reach out to you to learn more. This may seem counter-intuitive to you. Why should you write about them when your LinkedIn profile is about you? That’s because you want to use LinkedIn to generate leads — not find a new job. Writing your LinkedIn profile with more “you’s” than “I’s” is what I call a prospect-focused profile. You’re writing to the prospect, not at them. 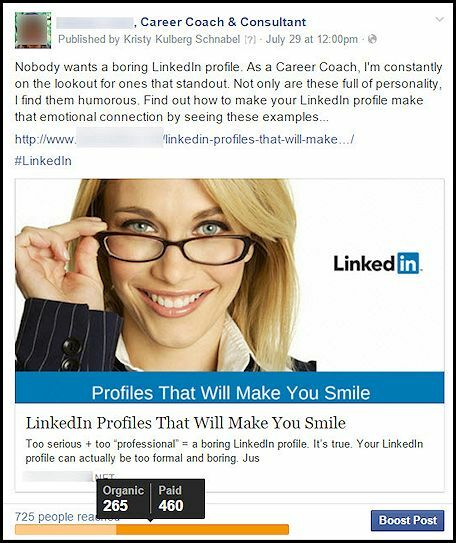 Approach your LinkedIn profile as if it were a piece of copy — as if it was an ad. You want to start most of your sentences off with “you,” and talk directly about the problems your client faces, and how you can help them solve these problems. And always end your LinkedIn profile with a “Call-to-Action” that invites your prospect to connect with you and start a conversation. DuxSoup and eLink Pro are automation software that allows you to view 800 profiles a day of your target audience on LinkedIn. Combined with a You-Focused Linkedin Profile and Outbound Connection Requests, using one of these mass profile viewers help you turn LinkedIn into a lead-generating powerhouse for your business. With a compelling headline, professional photo, and a profile targeted on a specific type of client, you can 10x the traffic you’re getting to your LinkedIn profile. And when your copy resonates with your intended audience, you’ll find much more inbound connection requests. You’ll need LinkedIn Sales Navigator in order to use one of these profile viewers. With Sales Navigator, you can build a very granular list of your ideal prospects, and then activate the software to iterate through and view each of the profiles, letting your prospect know that you’ve viewed them. And if you’re tagline is compelling, they click through and view your profile. You can’t get leads without traffic to your profile on LinkedIn. Use Elink-Pro or Duxsoup to help you get targeted traffic to your profile. Instead of using LinkedIn’s status updates to share what you’re doing or your latest selfie, use it to educate. Writing a quick status post on LinkedIn every day is one of the best ways to create top-of-mind awareness to your prospects. It’s preferable to LinkedIn’s article publishing simply because it’s much easier for your prospects to read your content on their feed instead of clicking on your article (and there’s also much less for them to read). The word count is ~200 words, so it forces you to be concise with your writing. And it removes any excuse you have for not doing it (any consultant worth there weight can write 200 words a day about what it is that they do). You can write a status post every morning in less than 15 minutes. You can share all types of content: stories, case studies, testimonials, videos, etc. Use links to your website when necessary — but don’t overdo it. People notice consistency, not announcements. Status posts help you remain consistent in content marketing where a B2B target market exists online. LinkedIn is the most important social media platform for business consultants. More than likely, as a consultant, your ideal type of client has a LinkedIn profile, and browses their feed every know and then. LinkedIn groups have different themes and are either public or private. You want to find and join groups that are related to your industry. When you gain access to the group, make an introduction, and then focus on helping people. If someone asks a question that you can answer, write them a detailed, helpful answer. Don’t send a link to one of your articles unless it’s completely relevant to the person asking the question, and will help them gain a better understanding of the answer far better than what a LinkedIn comment allows. When you share your expertise, you’ll be able to naturally extend invites to contacts who value your expertise. NOTE: Avoid LinkedIn groups with over 5K people. The smaller and more tightly managed a group is (and the more prospects that fit your ideal client are in the group), the better. Large LinkedIn groups (ones with over 10K people) are useless, full of spam, and, in my experience, worthless. “Other” includes lead-generating methods that don’t fit into the other categories. Although these are a collection of different methods, many of them work just as well as the others if you use them well. Like the classic cold call, cold email is a numbers game. Yes, you will face a lot of rejection. Yes, it will feel uncomfortable and self-promotional. That doesn’t change the fact that it can work very well. The key to cold email (or any direct outreach) is to focus on the person you are doing outreach too, and not yourself. The more you learn about them and talk to them about the things they care about, the better chance they will respond. 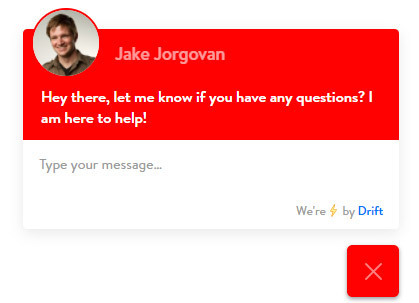 Your messaging should literally use “you” three times as many times as “I” or “we”. This will put you in the right frame of mind when you’re doing cold email. Kai Davis calls this “You” focused emails. Your emails should be focused on them because people care about themselves before they will care about a stranger. 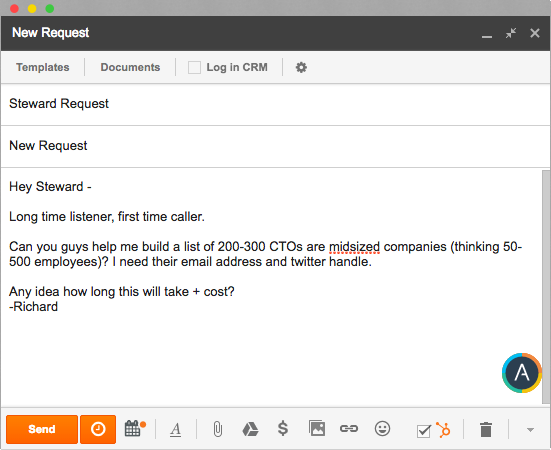 Don’t think of cold email as a way to generate instant sales. In consulting, cold emailing is a way of starting new relationships. And relationships are the first key to winning new business. It turns out Alan Weiss was wrong after all. Consultant directory websites are popping up like mad, and they are only getting more popular. Some consultants do very, very well using the platforms. And buyers are starting to use the internet to find and hire consultants. Some of these websites simply list consultants (like Umbrex), and others function as entire hiring and payment platforms. You want to gauge how much return on your investment you’ll get for signing up for one of these platforms, but signing up for as many of the simple list directories as you can only help, if only to provide a relevant link back to your website and your LinkedIn profile. 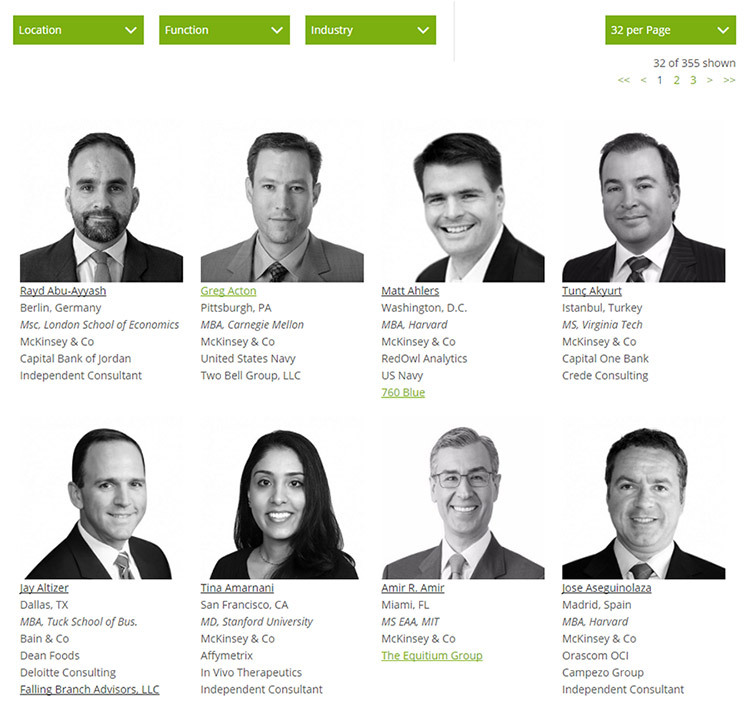 Do a simple search for lists of consultants in your industry. Once you find them, request that you’re listed. Be ready to provide a high-quality headshot, a quick description of what you do, and a link back to your website. Not satisfied with the list for your industry? Create your own! This can be a great way to position yourself as a thought-leader in your industry and network with other consutlants — all of which help you get more leads. Clarity connects people with questions to the experts that have the answers. The best part about Clarity is that you get to set your own rate by the minute. Like Calendly, it also makes it very easy for your prospects to book a call time that is convenient without any back-and-forth. Using Clarity is better than giving free consultations because often the people who need your advice are great potential clients. Once they’ve received your great advice (and paid you for it), you’ll have a much easier time selling them a custom engagement where it makes sense. Those who request a call with you on Clarity are going to be some of your best leads. This will help you bring in more requests, book more calls, increase your rating, and the amount of calls and leads you will get through Clarity. If you swear by Outbound marketing, then you’ll find a ton of value with Steward. Steward is lead-gen software. You tell them what you want (names, email, phone number of 100 CFOs in pharmaceutical companies in California, for example), and Steward gets you that information. To use Steward effectively (or any other type of lead-gen software that generates relevant names and email addresses for you), you’re going to have to have a solid outbound marketing and sales strategy. Unlike inbound marketing, the people on these lists have no idea who you are — so you’ll have to hone your sales to perfection to get a return. That said, if you’re great at and enjoy a combination of direct outreach, cold calling, and networking, a list of quality leads may be all you need. If you can put together a good strategy for your outbound marketing, it becomes a simple numbers game. And Steward can provide you excellent data for your outbound list. Quora, unlike many other social media platforms, rewards users for good writing and helpful answers. There are thousands of topics, with tens of thousands of questions waiting to be answered. Look for topics related to your industry, follow them, and browse through the questions. As a consultant, there is no better way to build a good writing habit than to practice on Quora. Start with writing one simple answer every day. It will take you no more than 20 minutes. If you stay consistent, you will receive hundreds of thousands of views, amass a following, and even get consulting leads. Answering Questions = Profile Lookup / Inbox Emails. Keep in mind Faisal has over 5000 answers — but everyone starts at 0. Share your expertise freely and consistently on Quora, and you will build a great writing habit and get more leads for your business. Sharing your content on platforms where your idea buyers read (liked LinkedIn) is one of the quickest ways to gain traffic to your consulting website. The key to getting people to share your content? Create a piece of content that makes them look a thought-leader if they share it. People share content based on how it makes them look, not just the content itself. If they can look smart, distinguished, or original by sharing your content, chances are they will share it. And most importantly — ask your readers to share. When you send it to them in your email list, ask them to share it. Featuring someone in the article? Ask them to share it with your audience. All of those influencers in your industry you’ve built relationships with? Ask them to share it. Readers rarely share your content by themselves — but ask them, and they will. Commenting on popular blog articles with your own insights is a great way to get qualified leads back to your website. The key is not to find any article in your industry and leave a link to your website — you need to find the highest traffic articles in your industry (highest SEO rank, most comments, etc), and then include a link back to your website with a link to an article that shares your insights on a specific aspect of the original article. By leaving a high-quality comment that shows what you’re talking about, and then including a link to a high-quality, relevant piece of content on your website, the host of original article’s website will accept your comment and engage with you. And all of the readers who read the comments to learn what others are saying will read your comment and often click through to your website. Leaving high-quality comments on other high-quality posts can help build links back to your website, increasing your traffic and leads. Do you feel overwhelmed by this giant list? Like I mentioned in the beginning — I’ve organized this list for you, from most likely to work to most experimental. Pick 3 of these to focus on for the next month or two, and you’ll be on the right path success with marketing your consulting business. The key is consistency. You want to pick the methods that work for you and that you can enjoy — so you can work on them each and every day, no matter how busy you are. Without consistency, you won’t build your marketing assets and skills consistently. Break a task like writing an article down into manageable, daily chunks like writing 200 words per day. With 5 of these types of tasks spread out among multiple categories, you’ll be working on immediate and long-term marketing efforts. Over time, you’ll be able to identify what works best for you, and eliminate what’s not working. And the most important question to remember is: how many conversations did this tactic allow me to start with my potential clients now, and in the future? Which of consulting lead generation methods do you plan to use for your business? Which of these methods have generated leads for you in the past? Which of these methods do you think you’re going to try first? Start a discussion in the comment section below.